From barnesandnoble.com: Told simultaneously from the perspective of humans and chimpanzees, set in a Vermont home and a Florida primate research facility, A Beautiful Truth—at times brutal, other times deeply moving—is about the simple truths that transcend species, the meaning of family, the lure of belonging, and the capacity for survival. Goodreads blurb: Foreign Gods Inc. tells the story of Ike, a New York-based Nigerian cab driver who sets out to steal the statue of an ancient war deity from his home village and sell it to a New York gallery. A meditation on the dreams, promises and frustrations of the immigrant life in America; the nature and impact of religious conflicts; an examination of the ways in which modern culture creates or heightens infatuation with the "exotic," including the desire to own strange objects and hanker after ineffable illusions; and an exploration of the shifting nature of memory, Foreign Gods is a brilliant work of fiction that illuminates our globally interconnected world like no other. 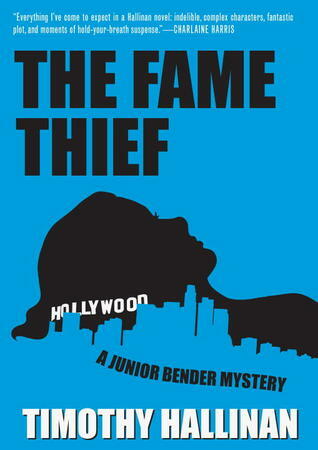 From Goodreads: THE HIGHLY ANTICIPATED, LAUGH-OUT-LOUD THIRD INSTALLMENT OF THE FAN-FAVORITE JUNIOR BENDER MYSTERIES. There are not many people brave enough to say no to Irwin Dressler, Hollywood’s scariest mob boss-turned-movie king. Even though Dressler is ninety-three years old, LA burglar Junior Bender is quaking in his boots when Dressler’s henchman haul him in for a meeting. Dressler wants Junior to solve a “crime” he believes was committed more than seventy years ago, when an old friend of his, once-famous starlet Dolores La Marr, had her career destroyed after compromising photos were taken of her at a Los Vegas party. Dressler wants justice for Dolores and the shining career she never had. Junior can’t help but think the whole thing is a little crazy. After all, it’s been seventy years. Even if someone did set Dolores up for a fall from grace back then, they’re probably long dead now. But he can't say no to Irwin Dressler (no one can, really). So he starts digging. And what he finds is that some vendettas never die—they only get more dangerous. THE THIRD INSTALLMENT IN THE NINA BORG SERIES, WHICH BEGAN WITH THE BOY IN THE SUITCASE. From barnesandnoble.com: Natasha Doroshenko, a Ukrainian woman who has been arrested for murdering her Danish fiance, escapes police custody on her way to an interrogation in Copenhagen's police headquarters. It isn't the first time Natasha has lost a partner to violent ends: her first husband was also murdered, three years earlier in Kiev, and in the same manner, his hands broken. At the same time, someone tries to abduct Natasha's eight-year-old daughter from the Red Cross center that has been caring for her while her mother, an illegal immigrant, was in jail. Danish Red Cross nurse Nina Borg has been following Natasha's case for several years now, since Natasha first took refuge at a crisis center where Nina works. Nina, who had tried to help Natasha leave her abusive Danish fiancé more than once, just can't see the young Ukrainian mother as a vicious killer. But in her effort to protect Natasha's daughter and discover the truth, Nina realizes there is much she didn't know about this woman and her past. The mystery has long and bloody roots, going back to a terrible famine that devastated Stalinist Ukraine in 1934. Friday Focus: Soho Press Book Buzz Titles was originally published by Catherine for bookclublibrarian.com. This post cannot be republished without attribution.